I love this passage. Jesus didn’t flinch and seek to save His life by swaying the governor to spare His life. He simply spoke the truth as He always had. Jesus never got in people’s faces seeking to persuade them of His legitimacy. The truth is always available for those who want to listen. The Truth is as Jesus spoke. The King and Kingdom are as you say and believe. The question remains, just what do you believe about the King and Kingdom? Right now Jesus is Lord. I know a lot of people would disagree with that statement. Nevertheless, Jesus is Lord of all. The Bible doesn’t say Jesus will eventually be Lord. The day will come when every knee will bow… Even though everyone is not worshiping Jesus, the truth is Jesus is currently Lord over everything. Why? Because God the Father has decreed it. The territory is the domain over which the King exercises total authority. All its resources and people are the personal property of the King. The King by right owns all and, therefore, is considered Lord over all. 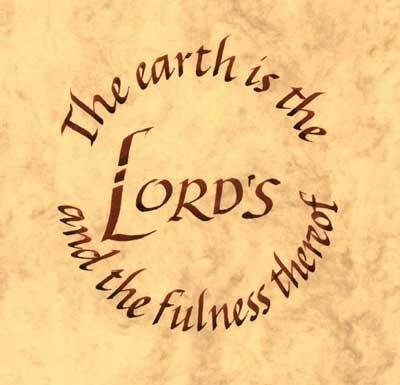 This is why Scripture calls us to be “good stewards” of all the resources of the Lord’s earth. Jesus even calls us to manage well our “talents”and “spiritual gifts”. One day we will all give account of that same stewardship. The Bible contains the constitution of the Kingdom of God (and more) which details His will and mind for His citizens. It would benefit us all greatly if we would STOP arguing over what IS and IS NOT Scripture and start obeying the Constitution of God. Do you believe that Jesus Christ is King and reigning today? Do you believe that Jesus has rights over everything and is Lord of all? with God through Jesus Christ? Have you realized all the benefits and privileges of God’s Kingdom? As a citizen, are you currently in favor with the King? My goal is to get you to think more broadly about the Kingdom. We sometimes get stuck in our own world of church, small groups, and the Christian circles in which we live. Our Lord is bigger than this. Take a moment and mediate on the Kingdom God and your place in His Kingdom. It will change your life.